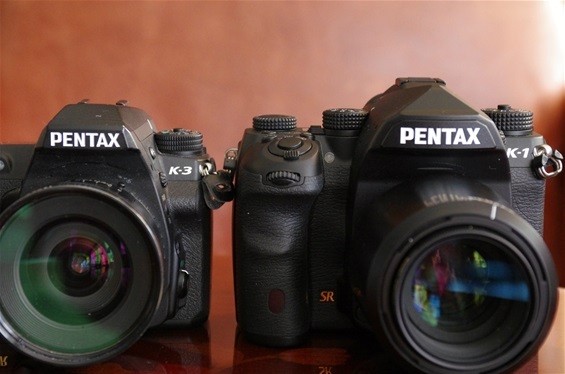 It has been a long time waiting for a Full Frame DSLR from Pentax. But during early spring 2015 it was finally announced, and from late April 2016 it is here. 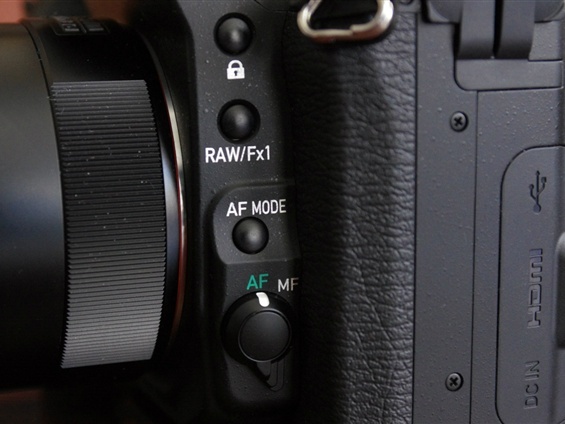 True to Pentax philosophy, this is for the advanced amateurs, not the most demanding pros. 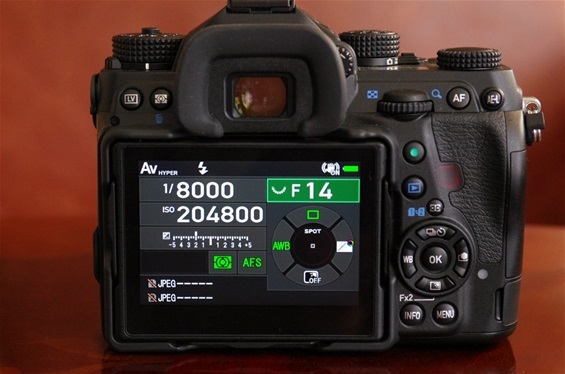 Not that it does not deliver images of high quality, because it does indeed, but price level is moderate, and the variety of extra gear is still not where the action shooting pros would like it to be. They may also demand more frames per second, as one thing. Since 1969, though, when the 6x7 was introduced, Pentax has delivered cameras for the pros. Together with the 645, that was introduced in 1984, the 6x7 and 67 has been the tools of numerous professionals, especially in studios and on location. 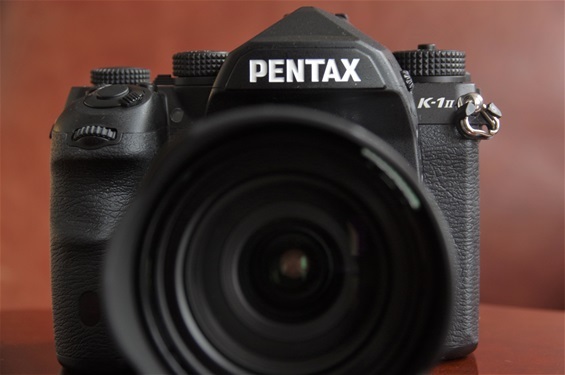 Bigger format deliver better images, therefore medium format has been Pentax' answer. So, for everyone except the extreme action shooters, Pentax is there. And the K-1 is narrowing the gap. This is already recognized internationally, as the K-1 is a 2016 TIPA prize winner! 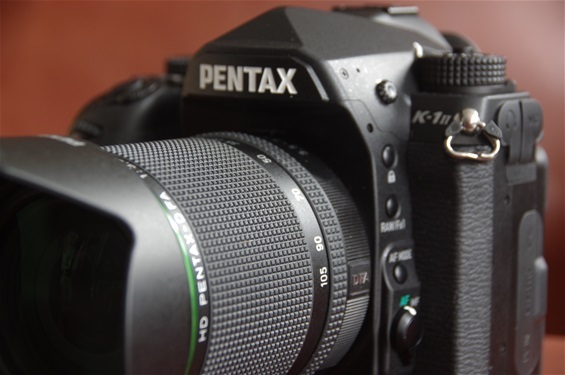 Pentax K-1.. Yes, it's here! A new design. Programs and user modes to the left, as before. But look to the right! 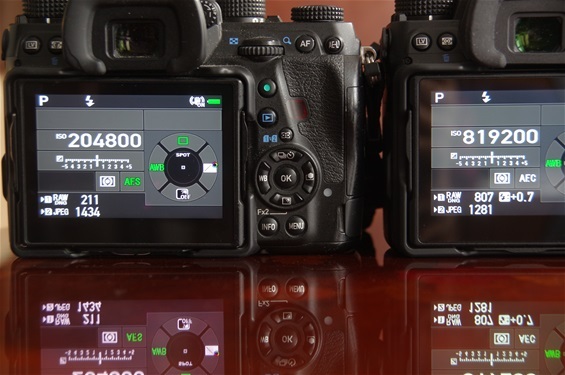 Two new dials for faster access to vital functions. Ten options on the dial in front, and a set wheel to the right. Which leaves less room for the information window. And the pop up flash is gone. 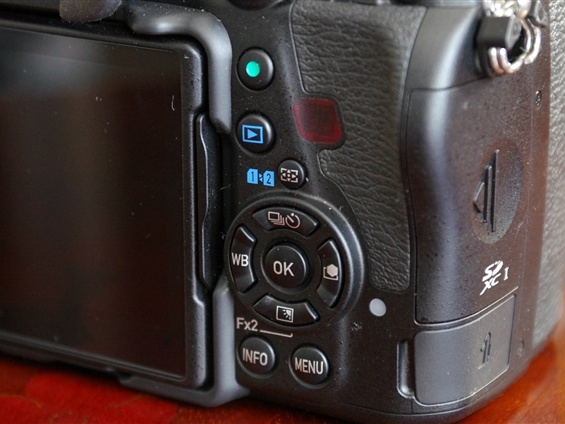 (Like on the K-3 II.) Serial number (Sn): 6354475. With this LCD panel on the back, the need for a big window on the top is gone. Note the 204800 ISO value. Not without noise, but it gives you a picture when it would otherwise be black. 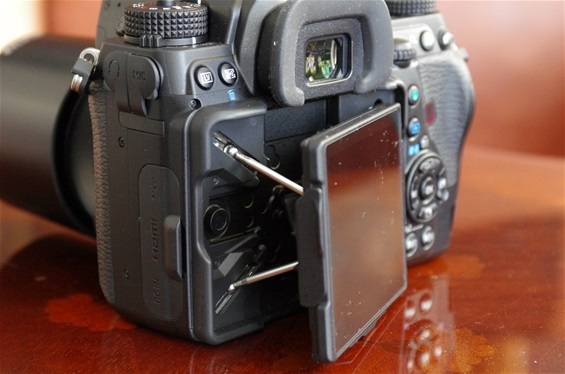 The rear information screen can be tilted in any direction. The K-3 to the left, K-1 to the right. Substantially bigger, but still a dream to hold! K-3: 784 grams. K-1: 982 grams. Both with battery and one card. Some changes to the information panel. 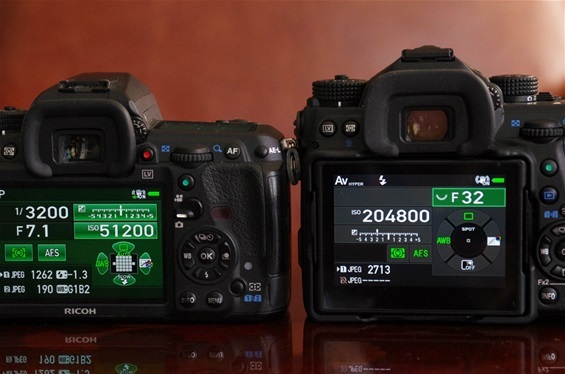 AND: ISO values up to 204800 compared to the 51200 for the K-3. 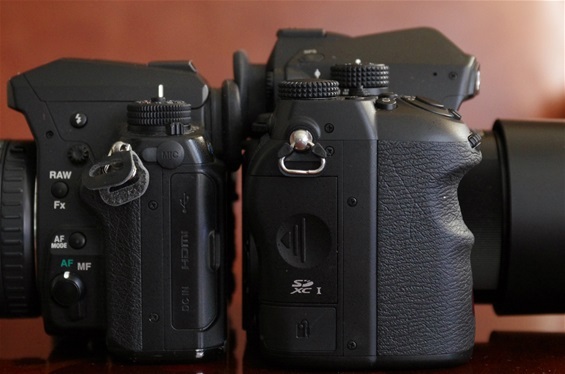 Three of the many primes available for Pentax K- mount full frame: FA 20/2,8, D FA 100/2,8 Macro and FA* 300/4,5. 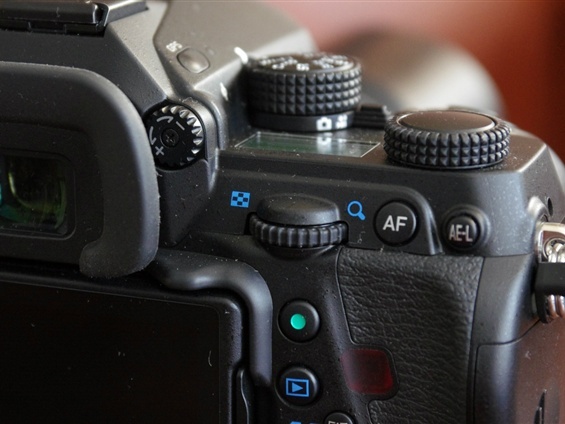 Did you know that there are 215 lenses to choose from? These are high quality lenses and cover the range between 15 - 450 mm. So, nothing is really missing here. FA* 85/1,4, FA 100/2,8, FA 135/2,8, FA* 200/2,8, FA* 300/2,8, FA* 300/4,5, FA* 400/5,6, FA* 600/4, FA 600/5,6. That makes 21 FF primes, at least. I haven't even mentioned all. Are we lacking any primes? All these lenses are superbe, with the * and Ltd series as leading stars. Some were produced from 1991 till 2004 for the Z and MZ cameras, some came later and are still produced. But will they do the job for a demanding FF camera? The Ltds will, according to tests. 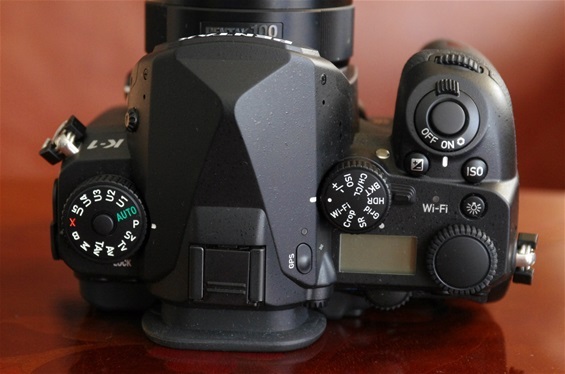 In fact, each of these 17 FA lenses scores very high (between 8,67 and 10,00 out of 10) on Pentax Forum user tests with digital cameras. The only feature missing here is the Weather Resistance. - DA* 200 2,8 and DA* 300 4, DA 560 5,6. So, there are at least 24 Pentax FF primes available. In addition, Pentax has a lens roadmap promising more primes to come. So, the list of superbe lenses is long. Probably longer than that of most other brands! 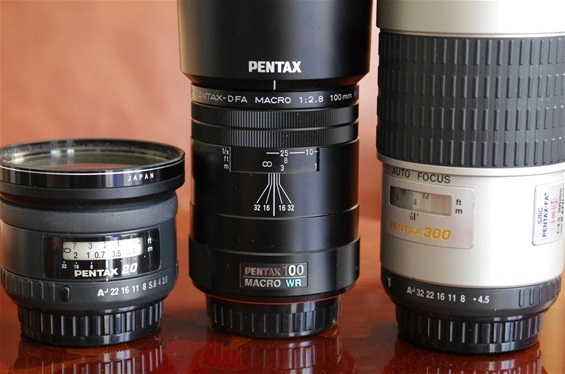 According to Ricoh/Pentax, there are 215 K-mount lenses to choose from.. There is no reason to wait. Go out and shoot! -DA 16-45/4. Very sharp at 5,6, but vignetting up to 22 mm. -DA* 50-135/2,8, covering 70-200. Very good from 4,0, superbe quality from 5,6, even on heavy enlargements! 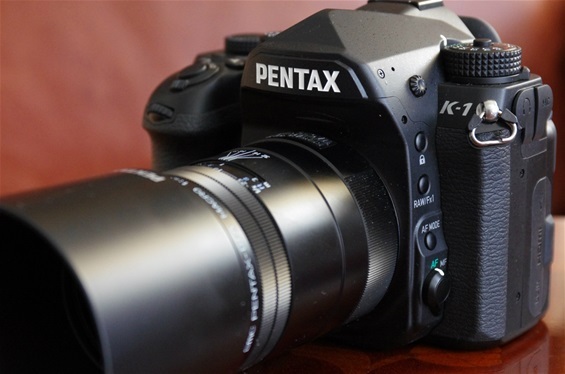 Early 2018 Pentax released an improved K-1, the K-1 II. The differences from the first model were not many, but important to some. First of all, the noise reduction was improved, allowing ISO values up to 819 200. The high number does not mean flawless images in the dark, not at all, but the scale is pushed upwards, giving acceptable images at higher ISO values than before. 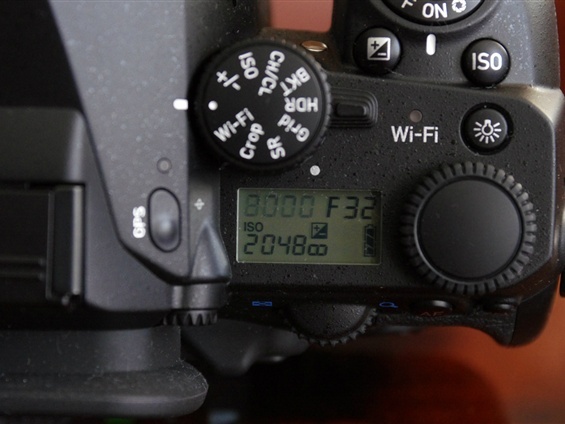 Secondly, there is the Pixel Shift Resulution II, now making it possible to take advantage of the Pixel Shift system also when shooting freehand, while the first edition, introduced with the K-1, demanded a tripod. Finally, the continous focus has been improved, making the system faster and more accurate. From the outside, exactly like the K-1. Only the "II" reveals the new edition. Sn. 7356756. Here is the only proof of improvements that can be seen from the outside, the 2-step higher ISO value. 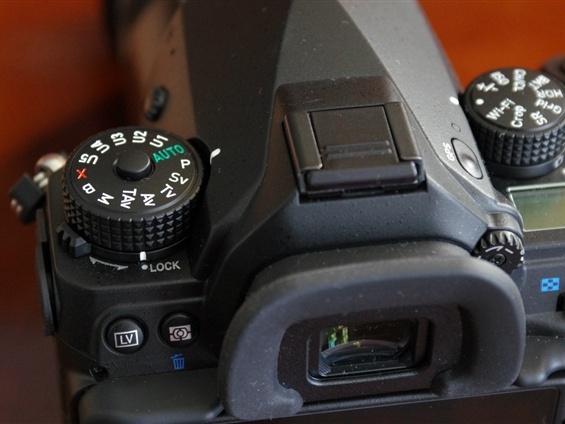 The lens range of D FA zooms goes from 15-30 via 24-70, 28-105, 70-200 to 150-450. All quality lenses, as one would expect. Here is the less expensive of them, the 28-105. Still a very good walk around lens. Sn. 4555400.